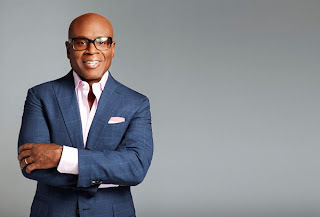 This season with be L.A. Reid's last on The X Factor, according to The Hollywood Reporter: the Epic Records chairman will instead focus on developing new talent for the Sony music label he runs. Reid was the first judge that X Factor creator Simon Cowell hired for the American version of the British talent competition, which made its U.S. debut last year. "I have the utmost respect for Simon Cowell," Reid said. "He is the very best, and I have had the opportunity to learn so much from him. Working with him on X Factor has been a once-in-a-lifetime experience. I'm honored to have sat on the panel with such incredible talent." Reid this year was put in charge of mentoring the Over 25s group, an assignment he wasn't happy about at first. Now, though, one of his contestants, Tate Stevens, is a leading candidate to win the competition next week. There's been no official word whether fellow judges Britney Spears or Demi Lovato will be back for Season Three, though Spears said earlier this fall that she was "definitely" returning.